According to Putin, "this practice is unacceptable; it destroys international relations and international law"
SAVONLINNA /Finland/, July 27. /TASS/. Russia’s President Vladimir Putin said that if the US adopts new anti-Russian sanctions, this will be an obvious attempt by Washington to use its geopolitical advantages in competitive struggle. "If it is really the case [approval of sanctions], this arouses deep regrets because such actions imply aggravating circumstances and special cynicism," he said at a press conferences after the talks with the Finnish President Sauli Niinisto. "Because this is an obvious attempt to use geopolitical advantages in competition to pursue its economic interests at the expense of its allies," Putin said. "As for the transboundary nature of the US legislation, I have been talking about it for a long time - way back in 2007, in Munich [at a conference on security issues] I talked about it, that's exactly what I said," the Russian leader recalled. According to him, "this practice is unacceptable; it destroys international relations and international law." 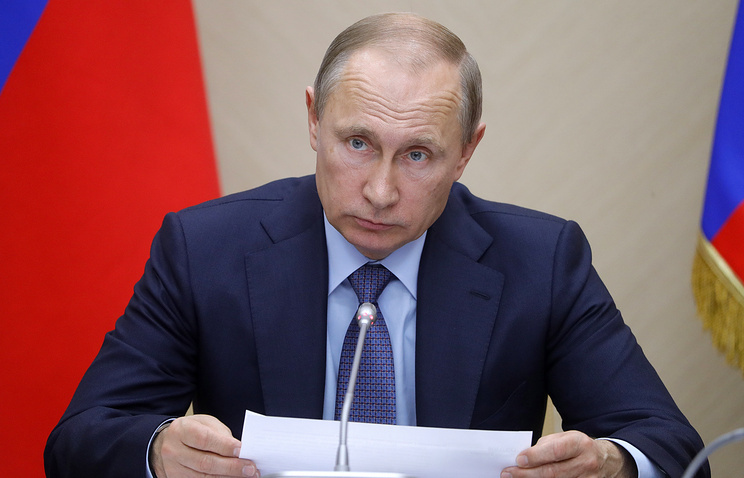 "We have never disagreed with this and will not agree," the Russian president stressed. "How other states in the world react to this, it depends on the degree of their sovereignty and their readiness to defend their own national interests," he added. Putin noted that official Moscow had seen a bill the US is going to adopt to introduce new sanctions against Russia. The US House of Representatives approved a bill that tightens unilateral US sanctions against Russia, Iran and North Korea on Tuesday. This document is to be studied by the Senate, and the upper house of the Congress is expected to adopt this bill that is widely supported by both the Democratic and the ruling Republican Parties. The decision regarding Russia’s response measures to new US sanctions will be made only after a final version of the relevant US bill appears, Putin said. "We have not seen the final version yet and therefore we are keeping our opinion open in this aspect," the Russian leader said. "The response [to sanctions] will depend on the final form of the law currently discussed in [the US] Senate that we will see," Putin said. "Attempts to provoke us are constantly made over a long period of time," the Russian president said. Sanctions introduced against Russia "are also absolute unlawful from the standpoint of internal law and violate principles of international trade and rules of the World Trade Organization," Putin said. "As you know, we are behaving very composedly and patiently but we will have to respond at a certain point. It is impossible to constantly tolerate loutish behavior towards our country," he said. "However, we believe in any case, whatever the developments in the near term are; we must definitely reach in future certain elements of cooperation and agreement in strategy terms. I hope this will be so eventually," the Russian president added. Putin has said it is not his realm to assess the work of President Donald Trump, "it’s up to the American people". "As for the election of President Trump, this is not our business, and we are not the ones to assess the work of Mr. Trump in his high office. It is up to the American people," the Russian president said in answers to reporters’ questions. Focusing on a probe into Russia’s alleged interference in the US presidential campaign, Putin said he did not consider it proper investigation which should imply "investigation of all circumstances, investigation into causes, hearing different parties". "What we are seeing is just growing anti-Russian hysteria, more likely this is the use of anti-Russian instruments in domestic political fight - of President Trump and his political rivals inside the United States," Putin said. Putin voiced regret on Thursday that bilateral relations between Russia and the United States fell victim to the US interior political processes. "It is deeply regrettable that the Russian-US relations fell victim to the US interior political disputes," Putin said. By joining efforts Moscow and Washington "could have been by far more effective resolving key issues in the interests of people of both countries," the Russian leader said. According to him, both countries can effectively cooperate in such spheres as the settlement of global conflicts, fight against terrorism, environmental protection, resolution of ecological challenges, fight against illegal migration and organized crime as well as in the sphere of economic development. The Russian president said he hoped that Russian-US relations would mend, acquire a new quality and that bilateral cooperation would be stepped up. "We do know that we have many friends in the United States," he said. "We know that there are very many reasonably-minded people there." "I do hope that the current state of affairs will end some day and we will achieve a new quality of our relations and will be strengthening them and building them up in the interests of both peoples," Putin added.